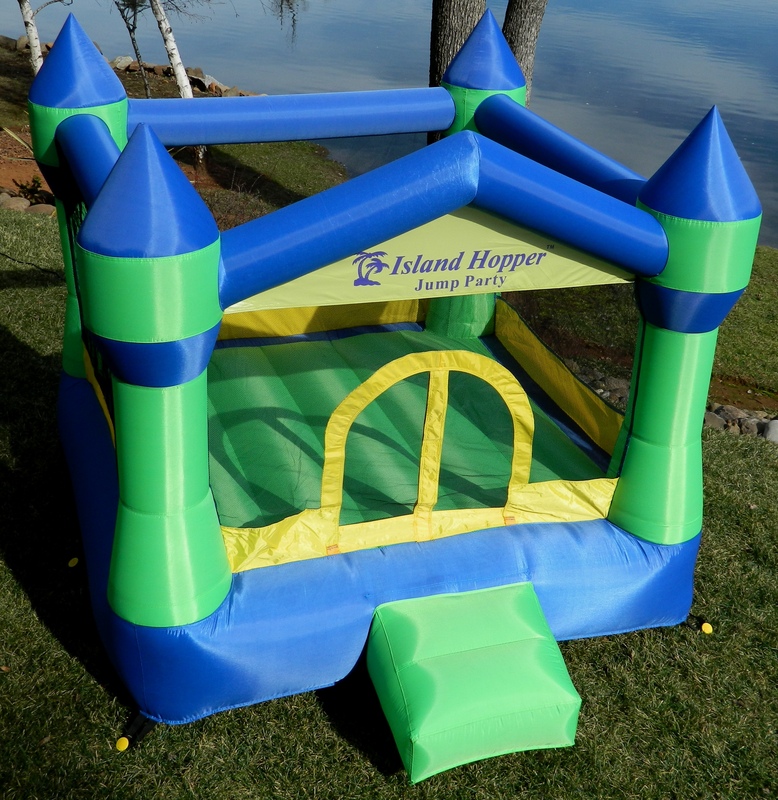 This recreational bounce house is another Island Hopper® “Natures Right” product, designed and colored by moms for an aesthetically pleasing toy presence in your yard. 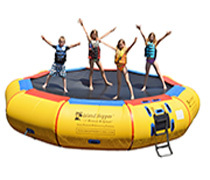 The durable Jump Party assembles and inflates in seconds. 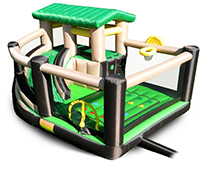 It is ideal for active little people at play time or for that very special party event. 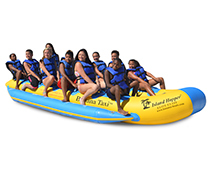 Use it outdoors or on rainy days, use it indoors. 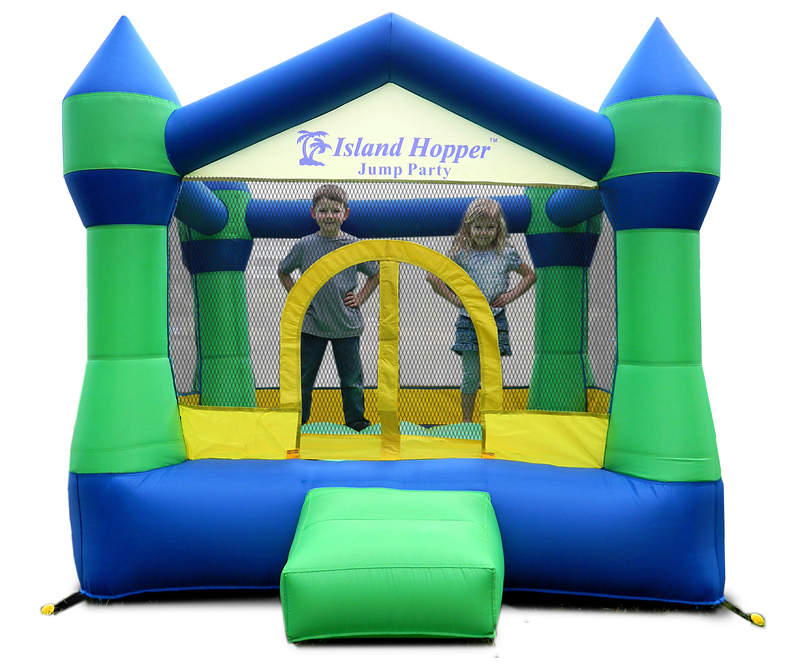 Go green & natural with the Island Hopper® Jump Party Bounce House. The Island Hopper® Jump Party is 8’6” long by 6’9” wide by 6’ tall and will comfortably handle 3 kids or 300 lbs. 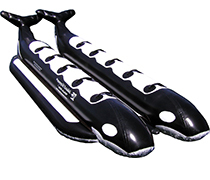 It features 9 safe & secure tie down loops and stakes so it can be securely anchored to your lawn or soft surface. The Jump Party has a double reinforced bounce floor and features a soft, easy access entry step with a secure closure entrance. 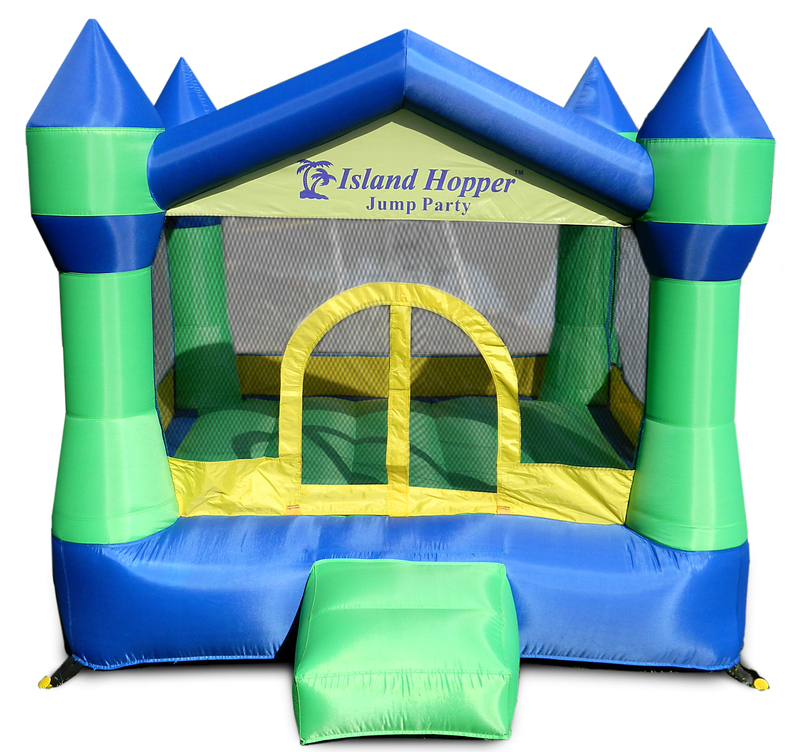 Made from100% lead free nylon material, the Island Hopper® Jump Party comes ready to use and includes a carry-storage bag, stakes and repair kit. 16" x 17" x 21"
The Island Hopper® Sports n Hops is a recreational bounce house that gives your kids 5 sporting activities and games like soccer, ball pitching, football throwing, slam dunking and just good old fashion bouncing. 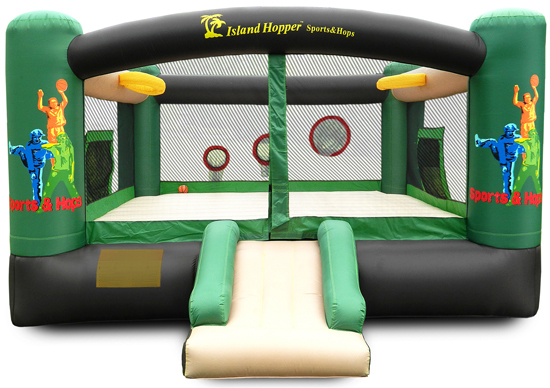 Have a soccer shoot out or an indoor soft soccer game using the two integrated goals. Practice pitching your fast ball into one of the three target nets using one of the soft foam balls included. 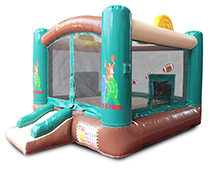 Have a slam dunk contest or a basketball horse game with basketball hoops on each end. It is a kids party waiting to happen. 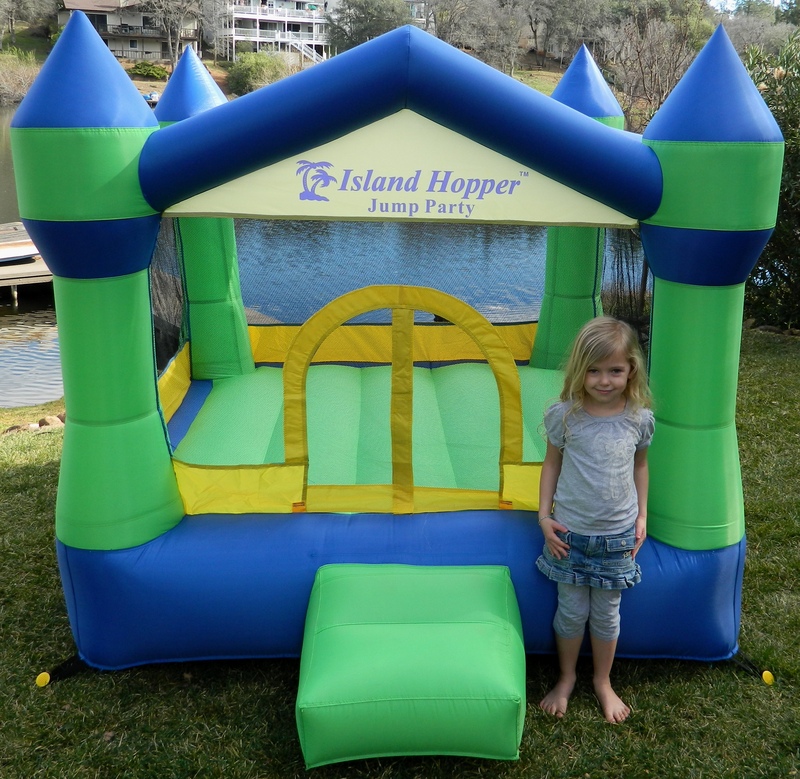 The Island Hopper® Fort All Sport is perfect for parties and year round play both inside and out. The 3’ elevated “lookout” area is a soft playhouse that can be accessed by a 4 step climbing wall or climb up from the inside “safe return slide” and then back down for a fast, fun escape to the bounce house floor. 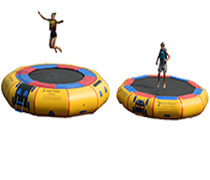 Play soft shot soccer or have a slam dunk contest with the soft soccer/ basketball that is included. Play a game of Twist & Tangle with your friends. 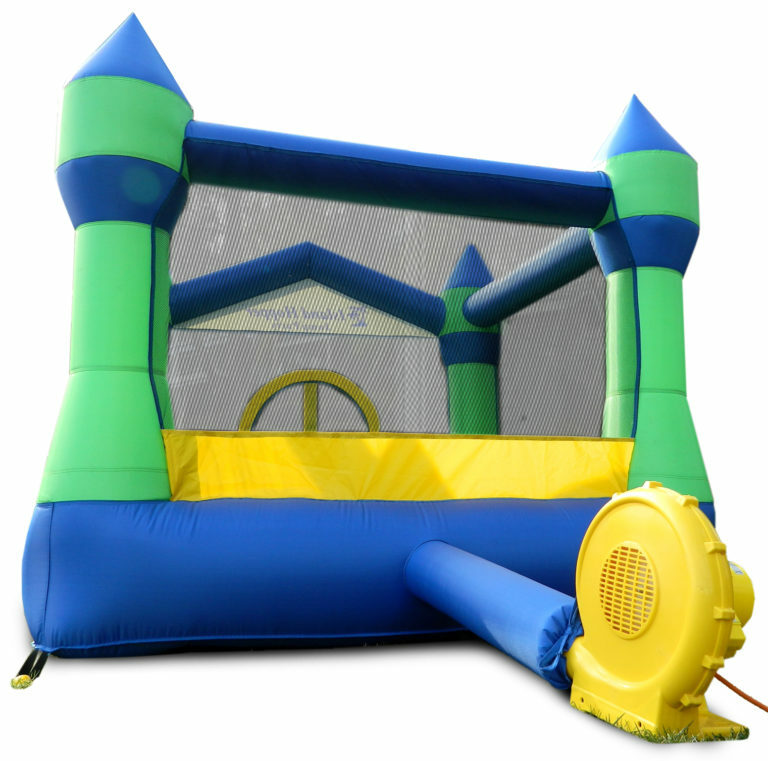 More then just bounce house jumping; this toy brings a lot to this party. 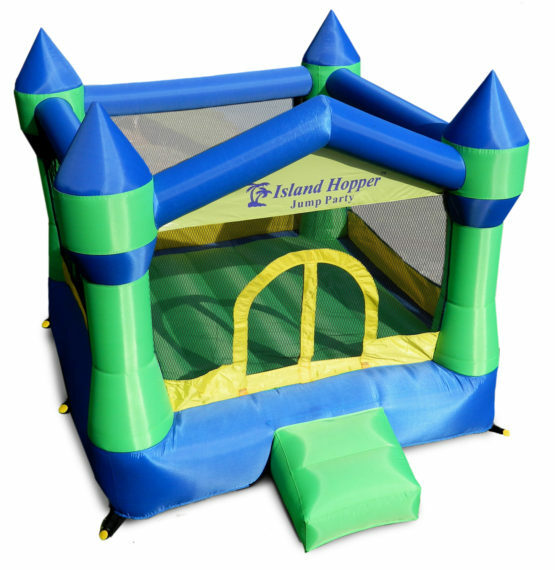 The Island Hopper® Curved Double Slide Inflatable Bounce House is the ultimate in bouncing and sliding fun. 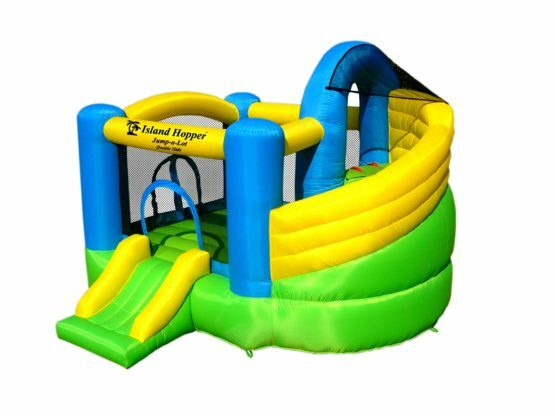 This product features a huge curved "inside return" soft landing slide that is accessed by a climbing wall. 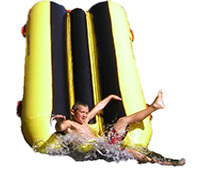 Your kids will always land softly after twisting and turning down this huge 11' long inside slide. 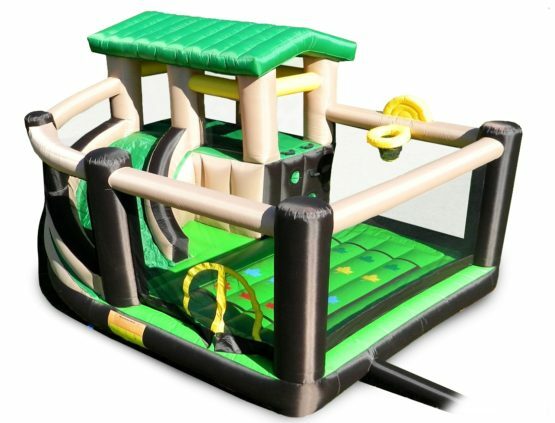 It also features a front entrance & exit slide and a side access. 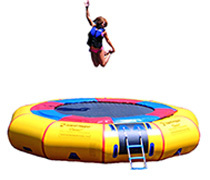 It's a home inflatable gym and amusement park all in one. We welcome international customers. Our multilingual international shipping department is always ready to help. Please place your international order and we will be in touch shortly with a few shipping options for you. Most international orders must be shipped to the closest international airport of choice. Customers are responsible for all duties and taxes. 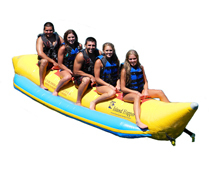 Island Hopper offers Free Shipping on all domestic orders. 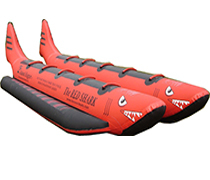 We ship within 24 business hours and provide tracking the next day. All large packages are double boxed to guarantee your products arrive safely.